Marvel Team-Up returns with Spider-Man and Ms. Marvel this April – AiPT! Award-winning author and Ironheart writer Eve Ewing will helm the first arc of MARVEL TEAM-UP #1 along with artist Joey Vazquez! New York, NY–January 22, 2019–Marvel is excited to announce that this April, award-winning author and Ironheart writer Eve Ewing will helm the first arc of MARVEL TEAM-UP #1 along with artist Joey Vazquez (Spider-Geddon), with covers by Stefano Caselli! 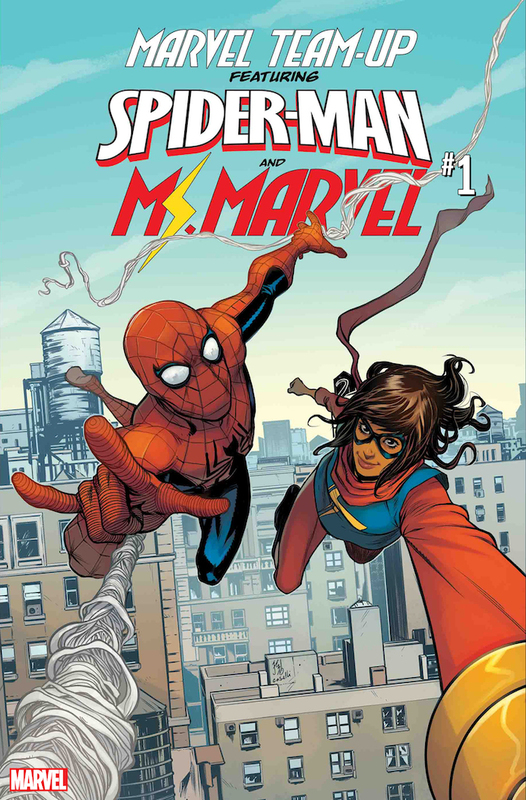 Announced today on The Chicago Tribune, the first story of the thrilling new series will see Ms. Marvel and Spider-Man undertaking an epic adventure together.